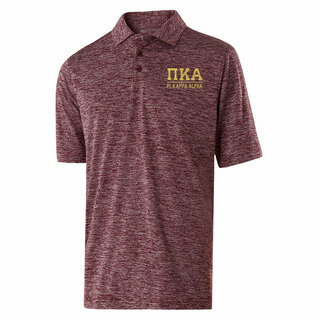 We sell a variety of Pi Kappa Alpha Clothes, including Polos and Oxfords -- the classic buttoned shirts that guys normally wear with business casual attire. 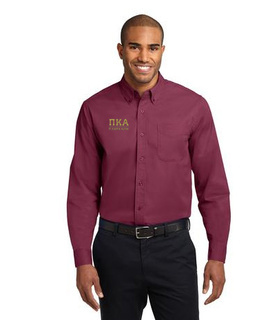 Clothes might not make the man, but these shirts will definitely make you look like a man who really cares a lot about his appearance. 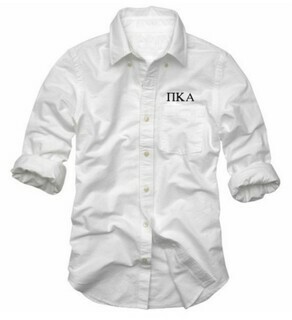 The great thing about a button-down shirt like the Classic Fraternity Oxford is that you can wear it open or closed for a different look. 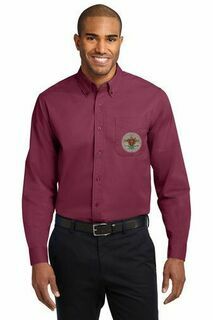 When you're presiding over a meeting, button it up to the top and button the sleeves around your wrist for a more professional look. 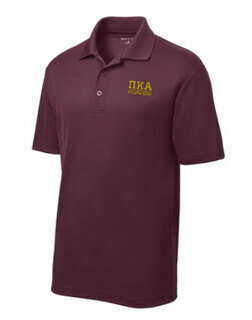 But when you head outside to shoot the breeze with your friends, loosen up those buttons, roll up your sleeves and relax. 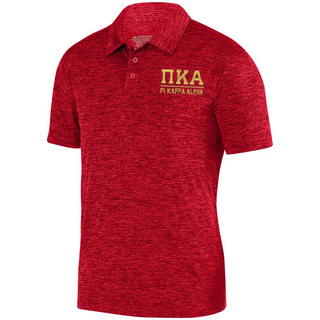 Pike members might prefer to get this shirt embroidered with red or gold threading. 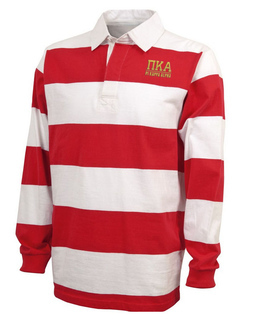 You'll look like a traditional college man when you're wearing the Lettered Rugby. 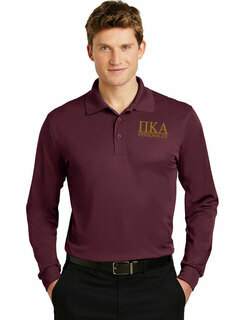 It's a great-looking shirt with a classic design that came to us from across "the pond." Buy it with bright red and white horizontal stripes or black and gray stripes if you prefer something more neutral. 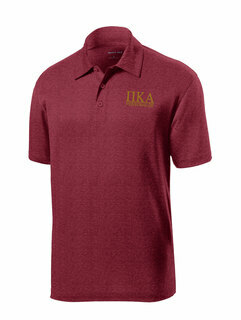 Be prepared for every business casual occasion that you have on your schedule with Pi Kappa Alpha Polos and Oxfords. 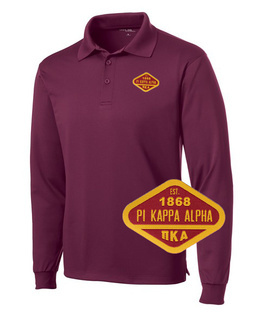 See the "Gifts and Merchandise" section to see the fraternity ties we sell for Pike members. 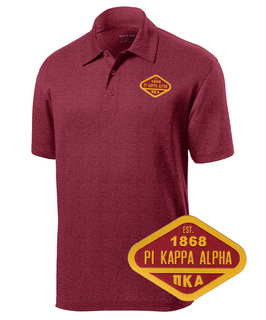 Pi Kappa Alpha Polos & OxfordsThe Greatest Selection. Period.